World Fish Migration Day – Geaux Fish! “Connecting fish, rivers, and people” is the overarching theme of World Fish Migration Day, a global event on April 21, 2018. Among the primary goals of World Fish Migration Day (WFMD) are to raise awareness of the importance of migratory fishes, as well as calling for action to safeguard and restore free-flowing waterways. This Saturday marks the third WFMD, with previous worldwide events in 2014 and 2016. At the time of this post, over 500 different events have been scheduled across the world. I encourage you to check out worldfishmigrationday.com and #worldfishmigrationday on social media to follow along this week; we’ll be tweeting from The Fisheries Blog as well! What is a migratory fish, and why are they important? Fish migrations can be complex and diverse; for our WFMD purposes, we are focusing on primarily freshwater species that migrate for spawning, feeding, and refuge. Sometimes these fishes even migrate between freshwater and saltwater habitats. As migratory fishes move from habitat to habitat, they connect ecosystems, and can serve as indicators of environmental health. Furthermore, many people throughout the world depend on migratory fishes for food, recreation, and overall livelihoods. Fish migrations come in all shapes and sizes, from American Eels that traverse the Atlantic Ocean to freshwaters in North and South America, to tiny climbing gobies that ascend waterfalls in Hawaii. Popular examples of fish migrations include salmon species (e.g. Chinook, Coho, Sockeye Salmon) swimming from oceans or lakes to rivers, upstream to their natal spawning grounds. Once they reach their home stream, salmon spawn and then die (with exceptions based on species/populations). Their carcasses provide important energy inputs to river ecosystems, and the progeny that hatch, grow, and survive continue the salmonid circle of life. I’ve had the opportunity to study fish migrations in the Great Lakes region, including a Lake Whitefish migration that returned after a +100 year hiatus, and Northern Pike that migrate from Lake Michigan through agricultural ditches to spawn in wetlands (you can literally see pike swim alongside the road during early spring in Wisconsin). Now that I myself have migrated from the Great Lakes to the bayou region of Louisiana, I’m more closely observing another important type of fish movement: floodplain migration. When upstream snowmelt, rainfall, and run-off make their way down large river basins and estuary systems, waters can rise beyond the main channel, extending adjacently across the land. As this flood pulse occurs, fishes (and many other organisms) are able to move laterally into this newly available habitat. It’s around this time that many common bayou species, such as Bowfin and Spotted Gars, move into flooded forest habitats, spawn, and feed. Floodplain habitats also serve as nursery areas for young-of-year fishes, providing both protection and ample food supply. This type of lateral migration is also an important energy pathway, connecting terrestrial and aquatic food webs. For example, in the Atchafalaya River Basin (the largest swamp in North America), Bowfin move into floodplain habitats to spawn, subsequently engorging themselves on crayfish that are now more accessible. Local sunfishes and killifishes can similarly take advantage of new habitat and prey items. Even large species, like the Alligator Gar, use floodplain habitat for spawning, and in some cases will not spawn unless a significant flood pulse occurs. These floodplain migrations occur throughout the world, and the fishes that make them are diverse, from Arapaima in the Amazon basin to giant catfish on the Mekong River. The take home message is that connectivity is important; it’s important to fishes for completing their life cycles, for the people that depend on them, and even environmental stability (e.g. sediment deposition). As humans, we’ve altered much of this natural connectivity, greatly reducing fish migrations, and in some cases driving species to local extinction. Dams, weirs, levees, and other water control structures all contribute to these breaks in river connectivity; many of these barriers to migration have economic importance or serve safety purposes, but others do not. One of the primary goals of World Fish Migration Day is to raise awareness of the importance of fish migrations to people, but also to encourage us to think critically about our use of dams and other barriers in aquatic systems. Geaux Fish! 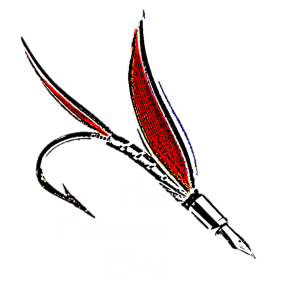 Next Post What is our fisheries research impact? Thanks for bringing attention to the importance of floodplain connectivity to many fish!